You’re a busy person, I know that. And even though Quest has a new Facebook Live Show called Cook Clean in 15 (yup, you can get your TV on “the FaceBook” now), sometimes you just need a recipe you can bookmark and come back to later. Enter this article you’re reading now. Without further ado, I present to you five (six, really – you’ll see what I mean down below, and don’t cheat by scrolling down there and then coming back up here, let yourself be enticed for a hot sec, yeah?) 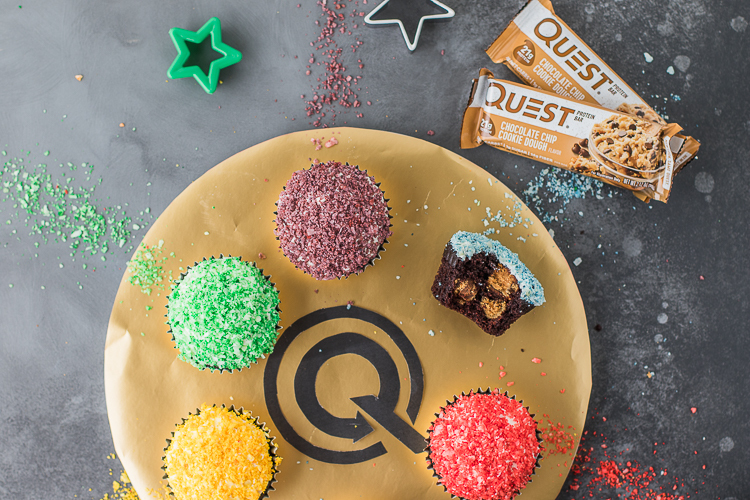 Quest Bar recipes you can make in less than 15 minutes. You didn’t think we’d make a listicle without featuring America’s Favorite Protein Bar did you? This drinkable dream comes packed with 23g of protein per serving and takes about five minutes out of your day. Sit back, relax and whip up something sweet, you deserve it. There’s something going on with blueberry around the office but that’s all I can say (wink, wink). That’s why I wanted to include these breakfast staples on the list. 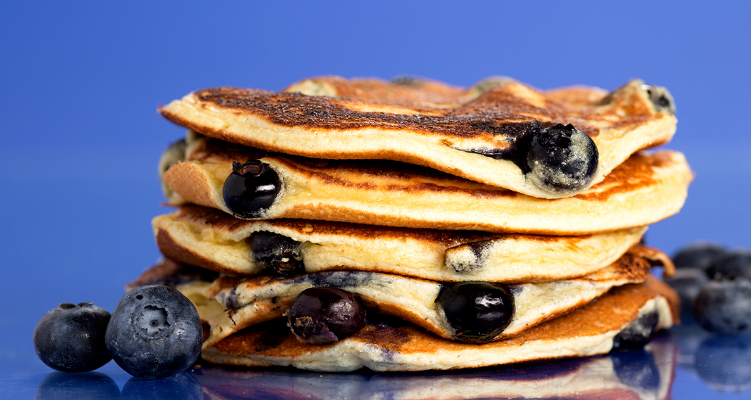 You should start your day off with a protein infusion – each pancake has 4 grams of protein, so stack ‘em up and cut ‘em down before you hit the gym. 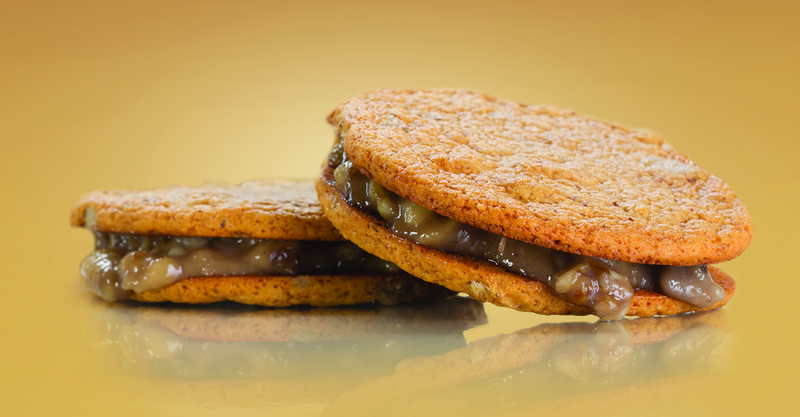 These things are called “sandwiches,” but really they’re a pair of Quest Bar cookies slathered in a sweet banana paste with nuts and cinnamon. 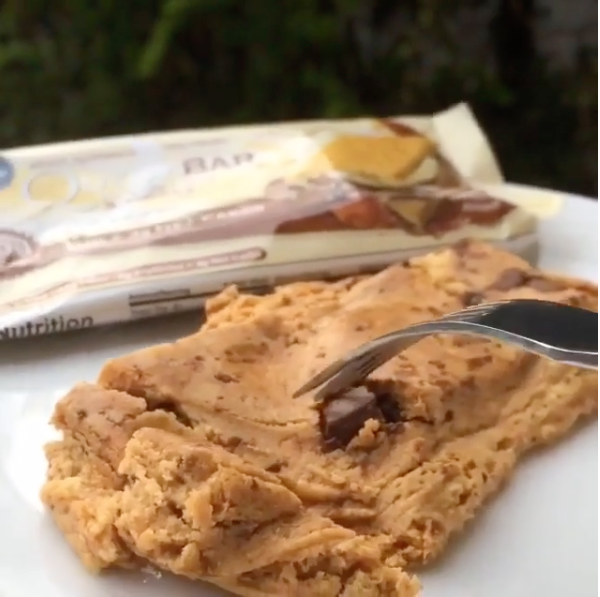 The best part about these (besides the taste and freedom to use any bar you want for the sandwich/cookies) is that, yeah, it’s technically a dessert, but it has 21g of protein and only 5g net carbs. Don’t sue me for false advertising, but full disclosure, these unbelievable snackeroos take 16 minutes to make – but if you’re in lower elevations, it’s only 15 (Sorry, Colorado). I think you’ll forgive me when you take a bite though, you’ll understand why they’re on the list. 25g of delicious protein are waiting for you to give them a good home. Don’t disappoint your protein. 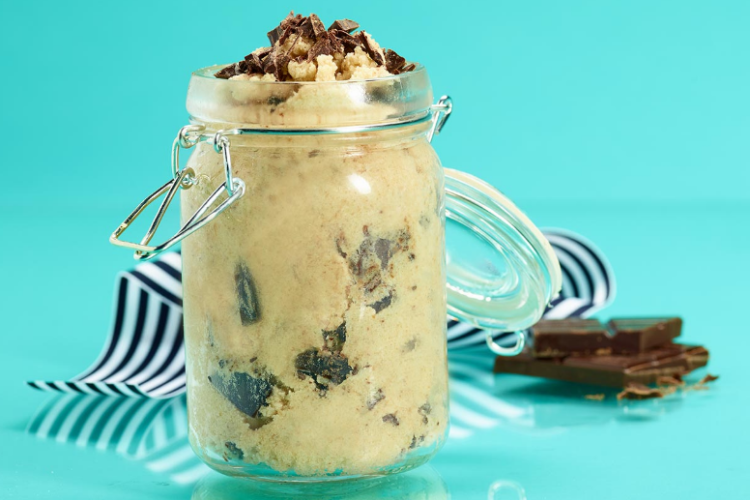 Remember how when you were a kid and your mom/dad/grandma/grandpa/that lady who used to babysit you would tell you not to eat the cookie dough before it went in the oven…but you did anyway? 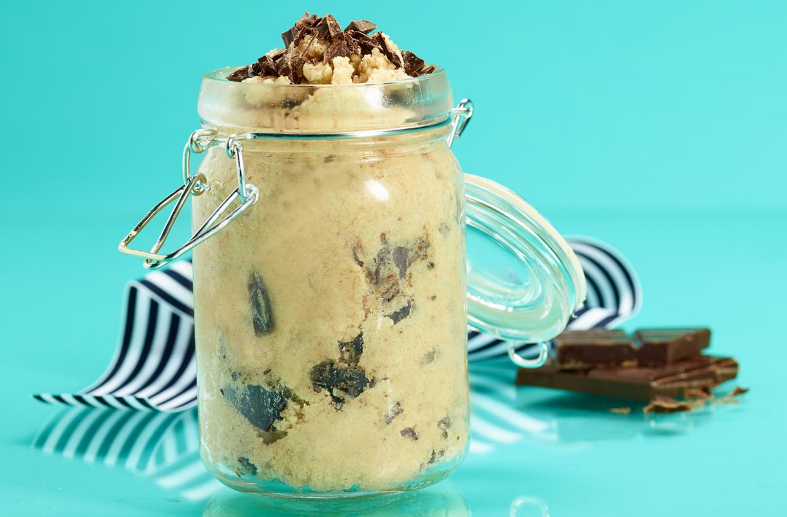 Well, this is a cookie dough for you – no eggs, just the same creamy, gooey texture and chunks of chocolate you’re meant to eat with a spoon. Fun game: Make this and share it with a friend – eventually they’ll have way too much and make a comment about how bad it is for them. Then you tell them it’s got 25g of protein per serving and watch their jaws (and maybe the jar!) drop. 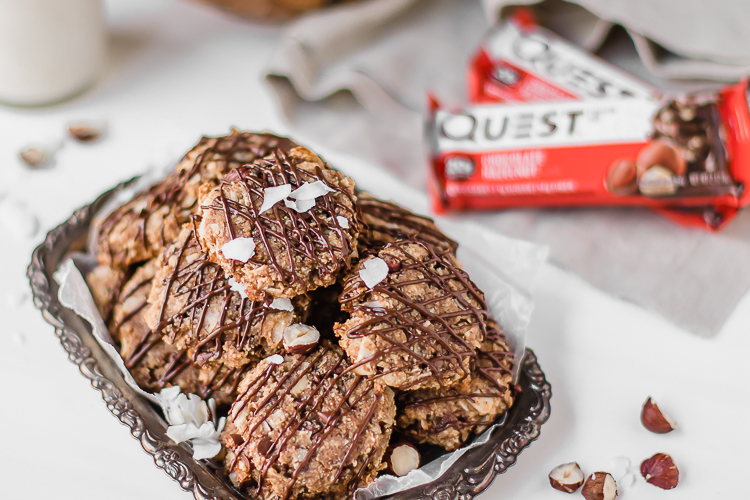 See, it’s not technically a recipe, because the only ingredient you need is “any Quest Bar.” Unless you really worked on your forearms at the gym earlier in the day, there’s no reason why you shouldn’t be able to get your bar open in…four seconds? Either way, bonus points if you’re heating up any of the bars with chocolate in them, or berries, or nuts, or… you know what? They’re all great. Written by: Levi Harris on July 5, 2016.on August 1, 2016. 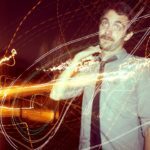 Levi is the Senior Copywriter at Quest Nutrition and is currently penning his first novel. He used to write for TV and Film and hates writing about himself in the third person. Protein Avengers, Assemble! These Infinity Stone Cookie Dough Cupcakes Will Eliminate Half the Bad Ingredients. 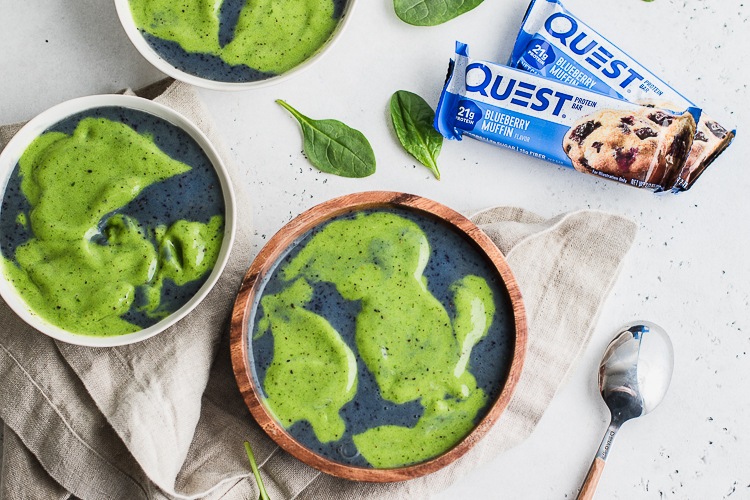 Show Respect to the Green and Blue of our Planet With These Earth Day Smoothie Bowls!